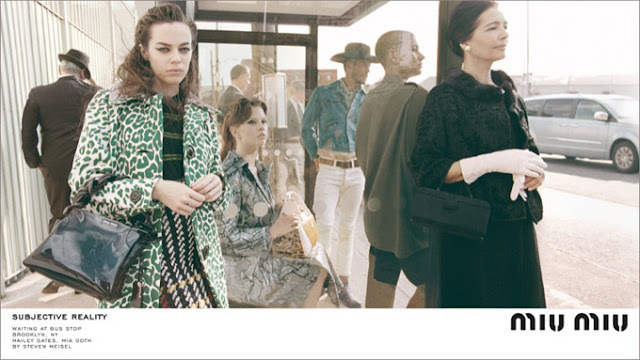 Superb talented fasion photographer Steven Meisel shoots Maddison Brown, Stacy Martin, Hailey Gates & Mia Goth in vintage style for Miu Miu Fall/Winter 2015/2016 Ad Campaign. That the campaign has a title, Subjective Reality, and each individual image is subtitled, is poignant. 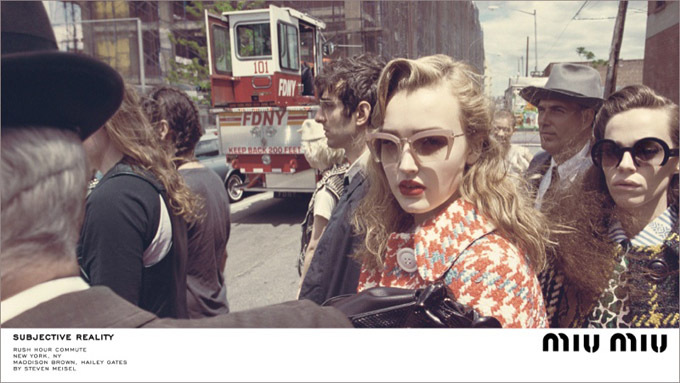 The seemingly off-hand compositional and perspectival logic suggests an highly subjective gaze: a bystander is captured mid-gesture, a car window partially frames the street, backgrounds are populated by the mini-dramas of passersby. The actresses meet that gaze, at times almost defiantly, as if interrupted mid-sentence by the intrusive lens of the photographer. 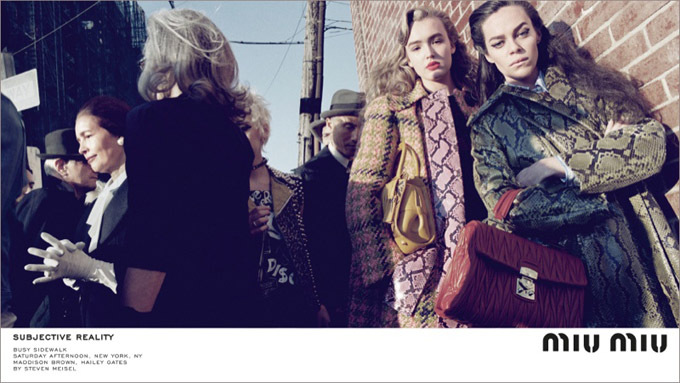 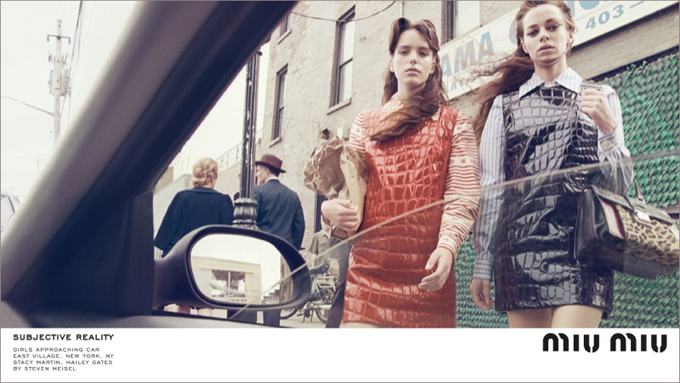 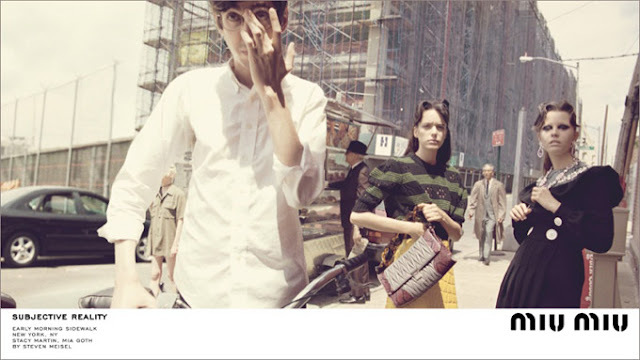 No Comment to " Miu Miu Fall Winter Campaign by Steven Meisel "